Check out these excellent whites made in Oregon. Oregon shines with Willamette Valley Chardonnay wines. In late January, the Willamette Valley Wineries Association brought over three dozen Willamette Valley wineries to Dallas for the Pinot In the City event. Though Pinot Noir was the focus, many of the extraordinary wineries also poured their stellar Chardonnays. Here are a few suggestions from the tasting, or from selections sent for editorial consideration. 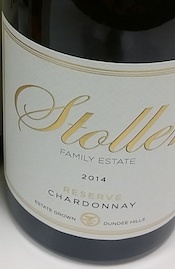 Stoller Family Estate has been a longtime leader with their Chardonnay wines and vines. Their unoaked Dundee Hills Chardonnay ($25) and their slightly richer, barrel fermented Reserve Chardonnay ($35) are produced from some of the oldest vines on the property. Available at Veritas. Stoller supplies fruit to Chehalem because Bill Stoller is a co-owner with founder and managing partner Harry Peterson-Nedry. Harry, and his daughter, Winemaker Wynne Peterson-Nedry, craft some of the most well-respected wines in the region. Their INOX Chardonnay, from predominantly Stoller Vineyard fruit, is filled with juicy apple and vibrant citrus. $19 at Total Wine. 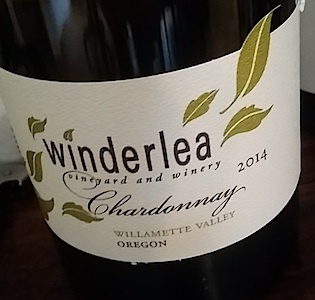 Winderlea Vineyard and Winery in Willamette’s Dundee Hills produces stone fruit filled Chardonnay with a round palate melding with fresh acidity for an alluring white wine with structured character. $38. Shea Wine Cellars is one of the most famous and beloved in the region. They grow premium fruit to produces memorable Pinot Noir wines for themselves, as well as abother dozen others wineries. Though much smaller production, they make steely, mineral rich Chardonnay that is simply delicious. Available on their website. From Yamhill-Carlton, Lemelson Vineyards crafts elegant wines in a sustainable manner. It was started by Eric Lemelson, an environmental lawyer, climate change activist, and Vice President and Treasurer of the Lemelson Foundation, with the goal to create a winery that maintained the longevity of the region. He also utilizes organic farming methods and gravity flow production. Lemelson Reserve Chardonnay blends fruit from three estate vineyards located in three different Willamette AVAs to produce a balanced, delicate, and approachable wine. $35. wine.com. An emerging leader in the region, Gran Moraine has found a home and fan base thanks to talented winemaker Shane Moore and the guidance of the incomparable Eugenia Keegan. Keegan manages operations for each of the key Jackson Family Wines estates in the region, including Gran Moraine, their first premium estate in Yamhill-Carlton. They launched a few years ago with two Pinot Noir wines, and last year released their first Chardonnay. It’s inviting and balanced with layers of lemon cream, golden apple, and pear. $45 Spec’s. Willamette is a relatively young region, which makes trying older vintages exciting. It gives you a chance to discover how these wines will age over time. 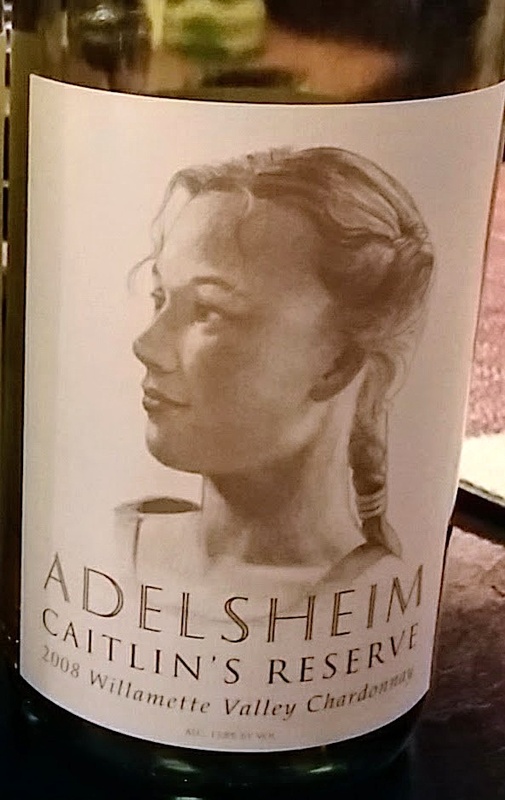 On a recent trip to Willamette, I had a chance to try a 2008 Caitlin’s Reserve Chardonnay from Adelsheim with David Adelsheim, the father of Oregon Chardonnay. 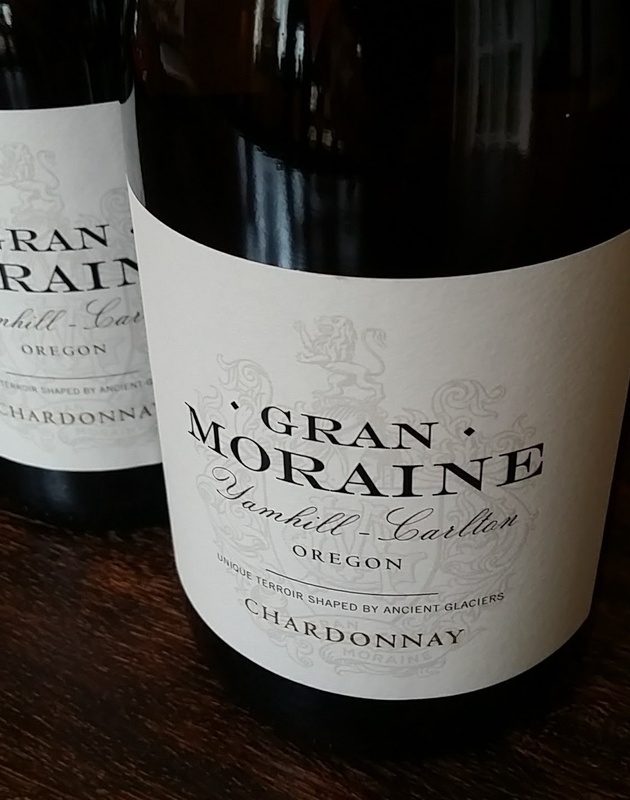 He helped develop the variety in Willamette by redefining the clones of Chardonnay that were planted. The early vineyards of Chardonnay in Willamette were planted with popular and easily accessable California clones. Adelsheim proved that French Dijon clones were better suited for Willamette, as the terroir is similar to Burgundy. In tasting the almost ten-year-old Caitlin’s Reserve, the I realized his decision to plant Dijon clones was spot-on. The wine with flavors of dried apple, toasted hazelnut and honey filled the complex, layered wine. What makes Adelshiem such a favorite is the fresh acidity which shows the wine still has years left to be enjoyed. The current release is $45, via their website. 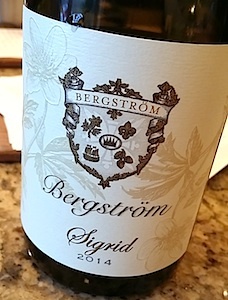 Sigrid from Bergstrom Winery highlights owner/winemaker Josh Bergstrom goal to craft a textured, elegant wine from the best barrel of biodynamically farmed, hillside vineyard Chardonnay. Honeysuckle and lemon fill the wine, followed by candied ginger and spice. $90 Pogo’s.